After earning her BA from Assumption College in Worcester, MA (double majoring in Philosophy and Social and Rehabilitation Services, with a certificate in Gerontology), Dr. Anton earned her first MA in Philosophy from the State University of New York at Buffalo, and her second MA and PhD from The Ohio State University. Her areas of interest include: ancient philosophy, ethics, moral psychology, and philosophical gerontology. Anton, Audrey L., ed. 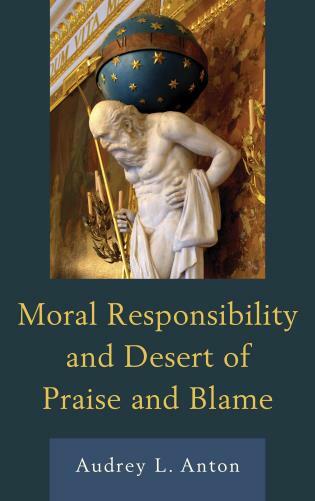 The Bright and the Good: The Connection Between Intellectual and Moral Virtues. Lanham, MD: Rowman and Littlefield International, 2018. Anton, Audrey L. “Aging in Classical Philosophy.” In The Palgrave Handbook of the Philosophy of Aging, edited by Geoffrey Scarre, 115-34. London: Palgrave Macmillan, 2016. Anton, Audrey L. “How Long Should People Work? The Debate Over the Retiring Age.” In The Palgrave Handbook of the Philosophy of Aging, edited by Geoffrey Scarre, 495-516. London: Palgrave Macmillan, 2016. Anton, Audrey L. “Sculpting Character: Aristotle’s Voluntary as Affectability.” Labyrinth: An International Journal for Philosophy, Value Theory and Sociocultural Hermeneutics 18, no. 2 (2016): 75-103. Anton, Audrey L. Moral Responsibility and Desert of Praise and Blame. Lanham, MD: Lexington Books, 2015.